In our home, teaching phonics and reading has been approached in a simple and straightforward manner. This has worked well for us as I have a houseful of avid readers across the ages. While the approach and resources have not changed over the years, I am not opposed to adding in extras to help supplement in weak areas of phonics and reading. Two of my children have been using Ultimate Phonics Reading Program from Spencer Learning to supplement their reading instruction and practice. 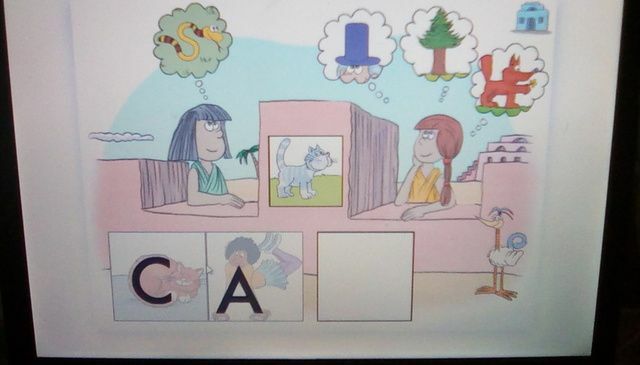 Ultimate Phonics Reading Program is a downloadable software that provides reading instruction for beginning readers to older readers who may be struggling at various levels. Due to the presentation of the program, Ultimate Phonics is not limited to a young age range but can be helpful to mature readers. You can view a DEMO and have 10 Days to use Ultimate Phonics for Free. Ultimate Phonics consists of 262 lessons that covers all the phonic sounds and rules. The lessons cover sounds, words, and sentences. While the lessons build on each other, you have the freedom to begin at any level based on the needs of the reader. You can also choose to complete parts of the lessons instead of the whole. As the reader progresses through the program, you may find that a bit of review may be necessary. This is not a problem as moving back and forth in the lessons is a simple click of a button. The Scope and Sequence for Ultimate Phonics is a great resource for an overview of the lessons. A Placement Test is available which is so helpful in finding a starting point for your reader. Two of my children have been using Ultimate Phonics over the past several weeks. Sam, 6, who would be considered a beginning reader, started this program at Lesson One. We continued our normal daily phonics instruction and added Ultimate Phonics in a few times a week to serve as a supplement for him. Since it was on the computer, Sam was happy to work with Ultimate Phonics and enjoyed the program. I had originally hoped that this program could serve as a bit of independent study for Sam but I was mistaken. I quickly found that Sam was listening to the sounds and words being read but not attempting to read them on his own aloud. This was totally an oversight on my part especially given Sam’s age. We continued to use Ultimate Phonics and I had Sam read aloud with someone close at hand to listen in and make sure he was progressing nicely. Since this was a supplement resource for him, it worked out well in this manner. Sarah, 8, also used portions of Ultimate Phonics. I would not classify Sarah as a struggling reader but one who needs to build her confidence in her ability. She reads well but often tries to read too fast and that jumbles her sounds and words. I did not have her complete whole lesson of Ultimate Phonics. Instead she only worked with the sentence portions of each lessons. This provided review and confidence building for her. Since she was ahead of Sam, she could also listen to Sam during his lessons. Sarah loves helping and was a great confidence boost for her. Ultimate Phonics Reading Program is a straightforward, easy to use and implement resource for phonics instruction. There are no silly graphics, characters, or games that limit this program to a young age range. It is definitely a bit dry in presentation and the automated voice that reads is a bit annoying. However, that means little distraction from the purpose of this resource which is to teach phonics and reading. Ultimate Phonics works well as a supplement or a full phonics program. With the simple approach it can easily be used with a range of skill levels and learning abilities. Others on the Homeschool Review Crew used Ultimate Phonics so make sure you see how this program worked with a variety of readers! In our homeschool, one of my weak areas is foreign language. Despite taking three semesters of Spanish in college, I can barely greet you in Spanish. Let us not even discuss my accent. Needless to say finding resources and curriculum to help my children experience, enjoy, and master a foreign language is important. When I heard that Armfield Academic Press has a foreign language resource, Getting Started with French, I hoped that it would be a helpful tool for my daughter, Mary, a high school junior. Getting Started with French is a beginning French resource that works well for self-teaching students of any age. 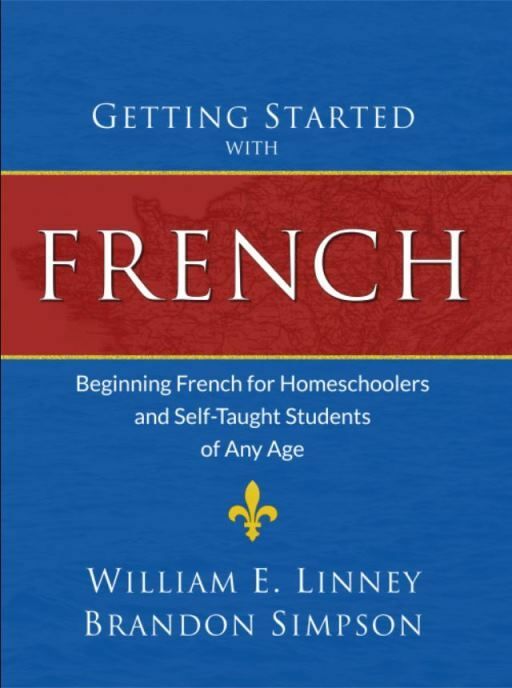 Whether it is used by a homeschool student like my daughter or an adult with a desire to learn French, anyone can quickly and easily put this program into practice. Armfield Academic Press has other foreign language resources: Getting Started with Spanish, Getting Started with Latin,and soon they will have Getting Started with Russian. Before handing Getting Started with French to my daughter, I did a read through on the “How to Use This Book” section at the beginning. This gave me a clear understanding of how the program worked and confirmed that my daughter could use this independently. The set up is broken down into daily lessons that introduce new words, offer grammatical information, and translation exercises. One of my favorite aspects of this program is the free audio files that you can download. Being able to hear the correct pronunciation by a native French speaker is so helpful! My daughter found that the audio files were clear and easy to understand. She also noted that the pace or speed of the speaker was helpful. The goal of Getting Started with French is mastery so you are encouraged to work on the lessons daily but to take time to review as needed. Practice speaking with your family in French or translating English text into French are great ways to work on review and repetition. One way my daughter worked on review and repetition to build mastery was to utilize classic children’s literature. Our library had a few books such as Goodnight Moon and The Three Little Pigs available in French. We checked those out and she practiced translating the words into English. It was a bit more challenging than expected but a fun way to practice what she was learning. Getting Started with French offers flexibility for your style of learning and setting your own schedule and pace. While the presentation is simple and user friendly, it is an effective approach. You can preview Getting Started with French to get a feel for how the program is set up. Overall we are both very pleased with this program. I love the approach used and that Mary can work on it independently. Being able to set her own pace and schedule is a huge plus for Mary. She likes the flexibility that it offers. As a homeschool family with a wide range of ages, I love that it can easily be used by different ages. I have Getting Started with Spanish on my to buy list. I think it would be a great addition to our Group Learning and be a fun family learning experience. Maybe I can finally get the proper Spanish accent? Oh, and it is a non-consumable resource which is always a huge plus for our family. Just give everyone a notebook and we are set to learn a foreign language or two! It seems that the current trend in the American education system is to begin pushing academics at younger ages each year. I am a firm supporter in the value of young children playing and exploring their world instead of sitting at a desk. However, as a mom with a wide age range of children, I have young ones who want to “do school” like their older siblings. While my four year old daughter does not sit down for formal learning each day, we do have opportunities for her to add to her knowledge in more structures ways. Over the past few weeks we have been reviewing an early literacy resource from Talking Fingers Inc. Talking Shapes: A Supplemental Curriculum for Early Literacy is an online learning tool that gives exposure to young children (around 4 – 5 years of age) of letters, their sounds, and how those work together to form words, sentences, and stories. **Please note that the above link takes you to the Talking Shapes: A Supplemental Curriculum for Early Literacy App. We did not review the app for this program but the online version. Talking Shapes is a series of seven stories, told by two sisters, that introduces the 40 phonemes in the English language. 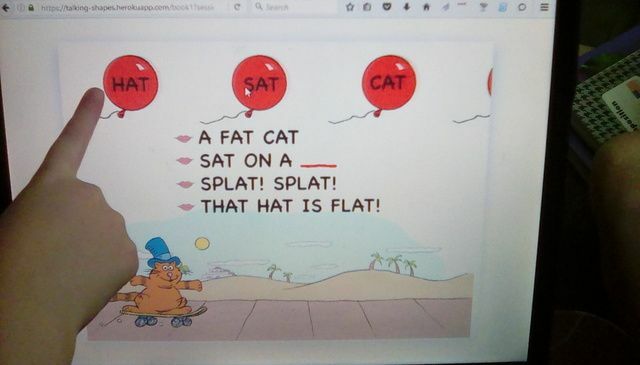 To help children remember the phonemes, picture cues are used such as: cat for the letter C, hat for the letter H, and fox for the letter F. There are activities included to help with review and practice: drawing the letters, a game to recognize specific sounds/letters, and popping balloons that match a word in the story. When we received Talking Shapes a few weeks ago, my initial plan was to have Martha use the resource two – three times a week for about 10-15 minutes. 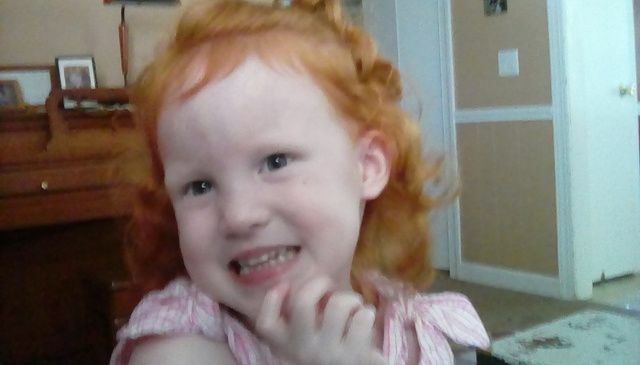 Martha is 4.5 and has had no formal literacy instruction. This seemed like a fun, low pressure way for her to become familiar with letters and sounds. Unfortunately we have had a few issues with the program that have hindered much enjoyment or learning with Talking Shapes. Since the only touch screens we have in our home are Kindle Fires this was disappointing but decided we could work around that and still benefit from the program. However, we continued to have technical issues. After being unable to load Talking Shapes on my computer, it was recommended to install Chrome. Instead of installing Chrome on my laptop (which is a bit outdated and running on Vista), I used another computer in our home that already had Chrome installed. Every time Martha and I signed in to Talking Shapes it would take at least 10 – 15 minutes to load. I was concerned at first that it was an internet speed issue on my end but it appears to be related to Talking Shapes. We are able to use other online learning resources, stream videos/movies, etc with no such delay time. It was a bit frustrating at first but I simply signed in and didn’t call Martha to the computer until it had fully loaded. Not being about to use our Kindle Fires made the drawing the letters portion of the program basically useless. In theory, you should be able to use your mouse to “write” the letters. While Martha does have excellent fine motor skills for her age, she found writing the letters with the mouse difficult and frustrating. It didn’t take us long to learn that if you wiggle the mouse around enough, the letters will fill in without you actually “writing” them. Since this portion of the program wasn’t really usable for us, we opted for writing letters on the dry erase board. We still listened to the stories and used the other activities. Martha enjoyed having her own time to do school. Since our goal was exposure to letters and sounds and not mastery, I think that goal has been met despite our glitches. If you are interested in using Talking Shapes: A Supplemental Curriculum for Early Literacy, I would recommend contacting Talking Fingers to make sure it will work with the computer devices in your home. Also make sure to read other reviews from Crew Members to get a broader picture of this resource.